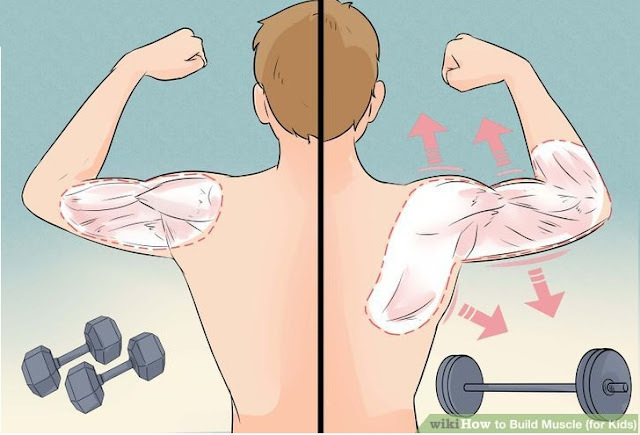 Home Muscle Building Dumbbell Vs Barbell: Which Is Better For Weight Training Workouts ? When thinking about and planning weight training workouts, sometimes it is hard to decide between the dumbbell vs barbell option and which would be more appropriate in different situations. Both the dumbbell and barbell have their strong points, but also weak points that should be considered. In each case where you are torn between using the dumbbell or barbell equipment you have to think about what goals you plan to achieve as well as what would be better for your body. If you are a beginner, then you should probably start out with dumbbells. Dumbbells tend to help even out any strength imbalances you may have. Sometimes, when using a barbell, you can cheat yourself by relying on your more dominant side to help you get through a difficult set. Dumbbells, on the other hand, make sure that you are continuously working your body evenly. Sometimes it is hard to determine which equipment will be the best for you when it comes to the dumbbell vs barbell, but in the case of single arm workouts, dumbbells are the winner. If you are more advanced and looking for more muscle growth, the barbell will allow you to lift heavier weights. This ability to lift heavier weights will stimulate better overall muscle growth. This is the case when you consider doing exercises for the legs, such as squats. As you become stronger, your body will require more resistance in order to continue building and remodeling muscle. This situation is ideal when you are working out your legs. In the dumbbell vs barbell competition, the barbell wins in this case. You would not want to be laboring to keep your fingers wrapped around a set of heavy dumbbells while you perform squats. Instead of doing this, you’ll get more out of placing a barbell across your upper back and doing your squats this way. When it comes to working the core and the dumbbell vs barbell debate, it seems that both can be used to accomplish a solid core. Bent over rows can be done with either a dumbbell or barbell. It just depends on personal preference. To execute this exercise, you should stand with a narrow stance and grab hold of the bar or dumbbell with overhand grip. The next part of the exercise is to bend down with your knees bent slightly and then let whichever you chose (barbell or dumbbell) remain in front of you. You should then use your back and raise your chosen weight until it touches your abdominal region. Finally, lower the weight slowly and steadily to return to starting position.